5287 Falling Creek Ln, Birmingham, AL.| MLS# 844448 | Richard Jacks UABLIVING.com 205-910-2297 | Birmingham AL Real Estate | Contact us to request more information about our Homes for Sale in the Birmingham AL area. 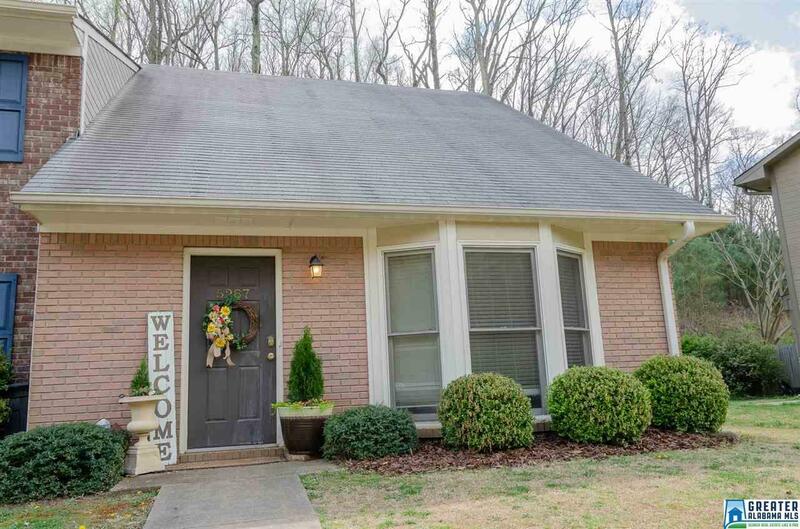 BEAUTIFUL townhome on corner lot has been freshly painted w/NEUTRAL colors, NATURAL lighting w/plenty of room in the kitchen and throughout among this SPACIOUS 3 bedroom & 2 bath home. CONVENIENT to everything & located within minutes to the interstate, shopping, restaurants & more! Space, location & price SAVVY!